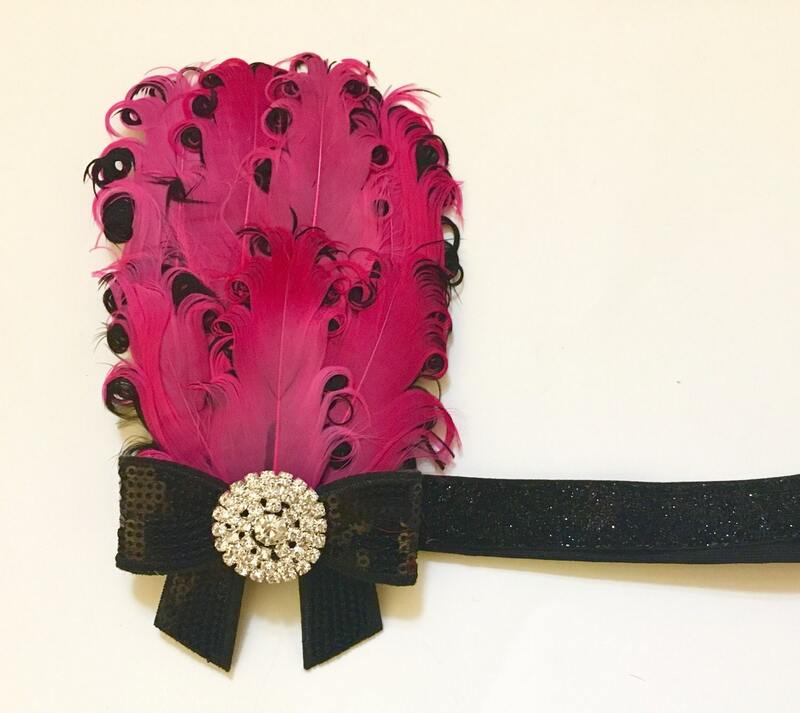 Gatsby 1920's Feather Headband, Red Black Headband, Hot Pink Black Headband, Black White Gatsby Headband, Dance Great Gatsby Flapper. 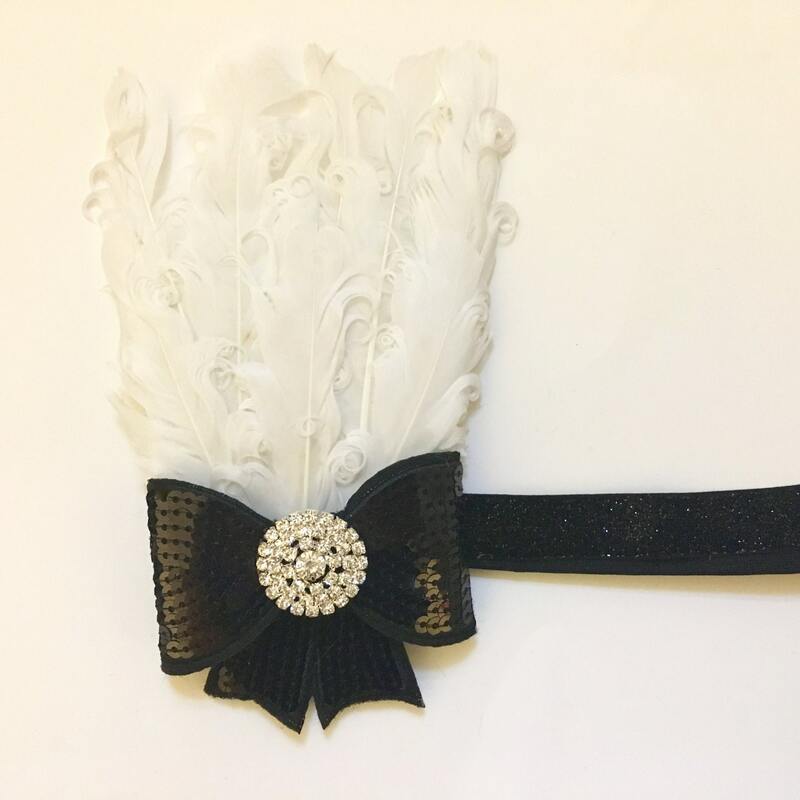 Gatsby 1920's Feather Art Deco Rhinestone Headband. 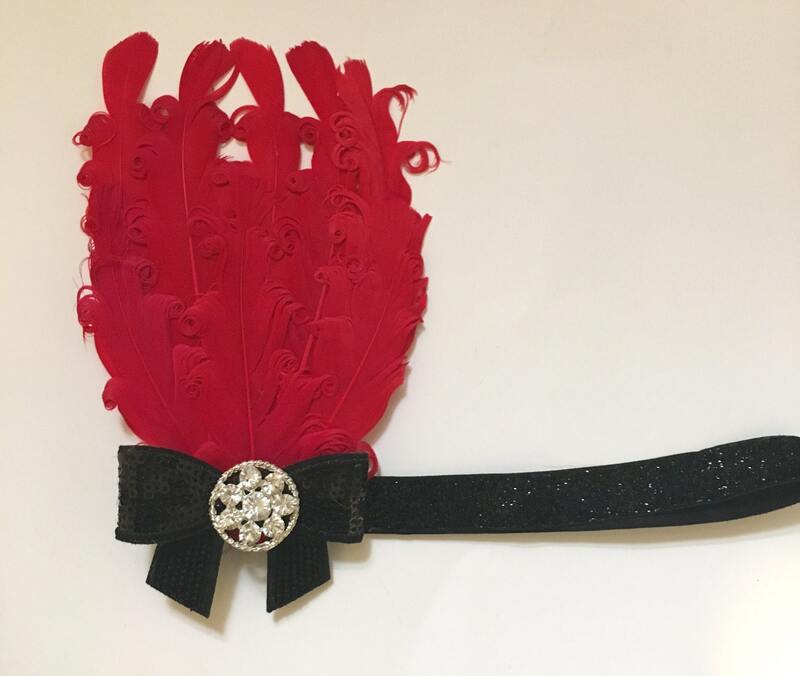 Red Feather pad, Vintage Rhinestone, Glitter Black Stretch Headband. Message me for other color combinations. 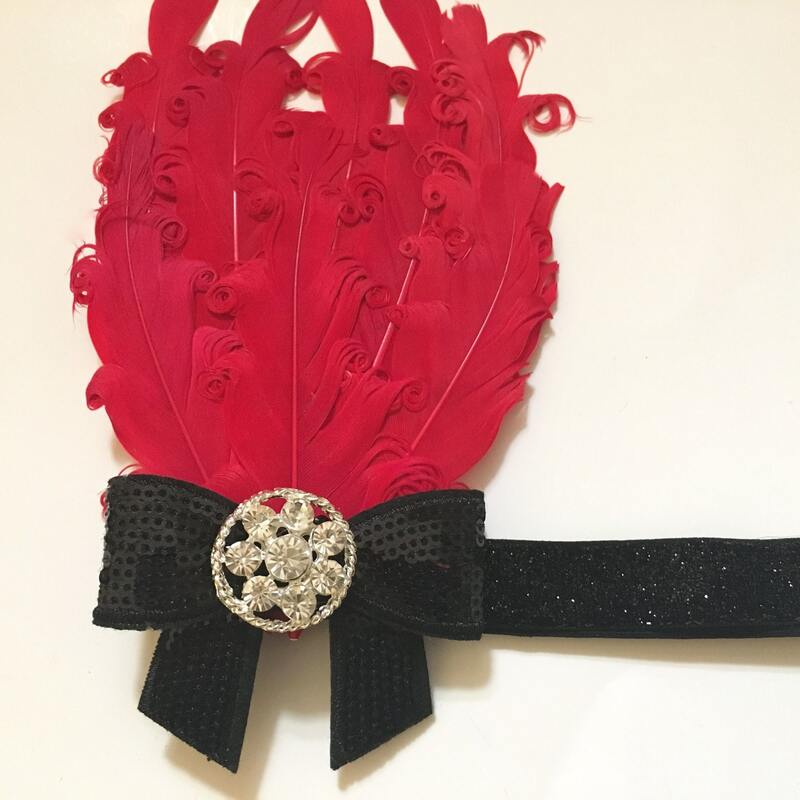 We have a large variety of color feathers, rhinestone.